There was disappointment for outdoors enthusiasts and Highlands tourism businesses as a full meeting of Highland Council approved all the Glen Etive hydro schemes for a second time this afternoon. The three schemes situated on officially-recognised Wild Land were approved by councillors by 28 votes to 13, 25 to 17 and 27 to 15. Councillor Andrew Baxter – who represents the local ward that includes Glen Etive – proposed the motion to reject the schemes due to their cumulative damaging effect on wild land, set against a power generating capability that is less than that of a single offshore turbine, but his motion was defeated. Objectors to the schemes included Mountaineering Scotland and the John Muir Trust. The special meeting was held after the original planning committee decision to approve the schemes (by a narrower margin) was called in for discussion by the full council. Scottish Natural Heritage, the official body which mapped and recognised Scotland’s wild land, had not objected to any of the developments despite their location. Under Scottish planning rules wild land is supposedly protected as being of national importance based partly on its lack of modern artefacts and structures, and perceived naturalness. Mountaineering Scotland’s Access and Conservation Officer Davie Black said: “We are disappointed at this decision as there were serious issues raised about the impact of these developments on the landscape here, an area of great importance for outdoor recreation. “What do we have to do to save our best landscapes from heavy engineering? The John Muir Trust also expressed its disappointment and warned that Scotland’s wild places are being diminished in pursuit of private profit. 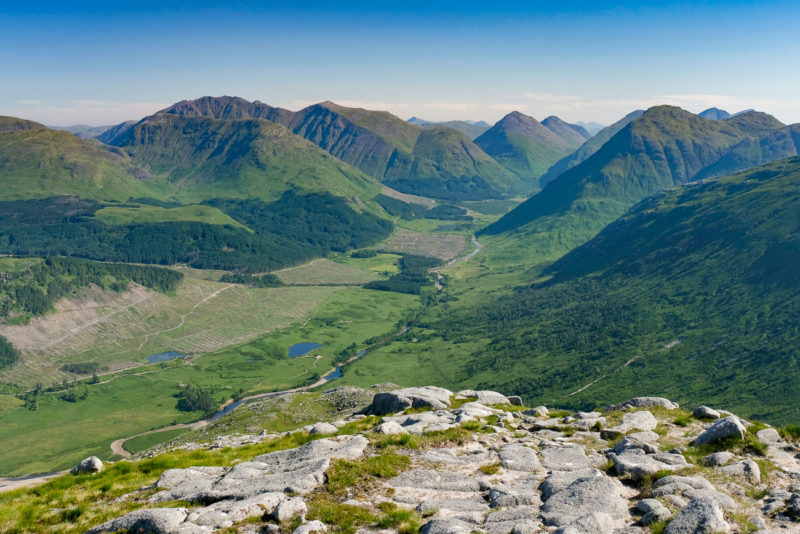 Like Mountaineering Scotland, the Trust objected to just three of the seven applications in the glen, because of their potential impact on a popular and accessible scenic landscape within a wild land area. John Low, John Muir Trust Policy Officer, said: “We first of all want to commend Councillor Andrew Baxter for ensuring that the full Highland Council had an opportunity to examine these applications. We note that around one third of councillors opposed the decision. “The John Trust took a measured approach when objecting to the proposals as we are very concerned at the continued diminishing of Scotland’s wild places at the hands of developers whose sole objective is private profit.